Pub day post (O’Keeffe) – Joyce's mystery and fiction book reviews with some non-fiction too! I adore this series which tells the stories of women of many talents. The books are short but detailed and factual with appealing illustrations. 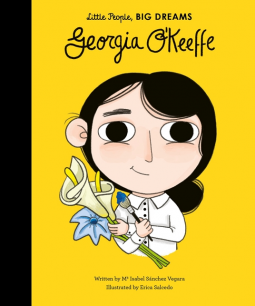 Georgia comes to life as a young girl who loves art and moves away from home to become an artist. Her love of city architecture, the appeal of looking at things up close and her deep appreciation for the southwest all shine through. Plus, the reader learns about Alfred Stieglitz. A great series for parents and children to share. These books provide role models for dreaming children.